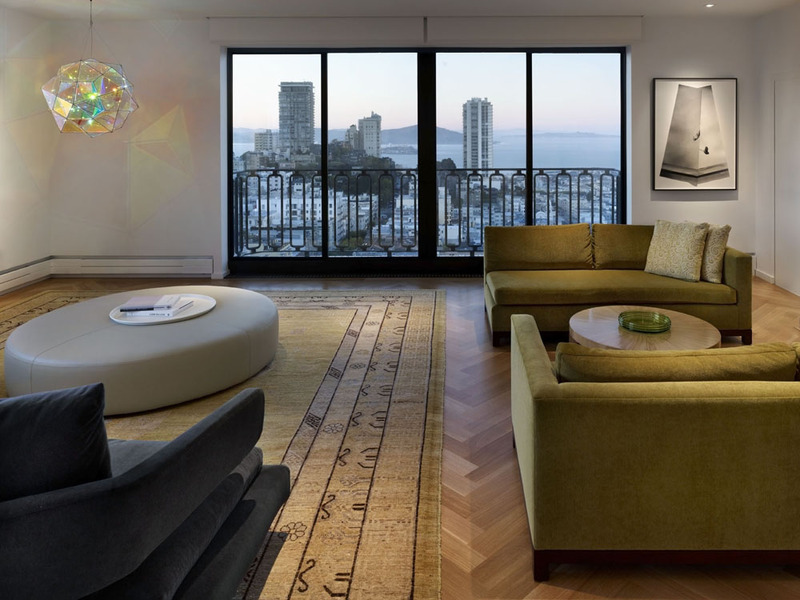 EFG House | This San Francisco pied-à-terre was a complete redesign and remodel in a prestigious Nob Hill hi-rise overlooking Huntington Park. With stunning views of the bay and a more impressive art collection taking center stage, the architecture takes a minimalist approach, with gallery-white walls receding to the background. The mix of custom-designed built-in furniture and furnishings selected by Hulburd Design read themselves as pieces of art against parquet wood flooring.